The quality of Burgers continues to improve in South Florida making this list very difficult to do. But I've put in a lot of leg work once again in order to make sure that my list is thorough and accurate. I've decided to scrap the Tiers approach to my ranking this time. I've opted to go with a straight ranking of the Top Twenty Best Burgers in South Florida. It should be noted that my burger rankings are all about the burger. Unlike my Best Restaurants in Miami rankings, service, wine/beverage programs, ambiance and value do not play a role. This is all about the blend, bun, seasonings, toppings and overall execution. GONE BUT NOT FORGOTTEN- All three were short lived but fantastic. Boxpark (Miami/CLOSED) Grass-fed and topped with Thomasville Tomme, arugula, pickled onions, tomato and served on a nice housemade onion bun. Preservation (Sunny Isles/CHEF Ryan LEFT) Berkshire bacon, sharp cheddar, onion compote and hickory island dressing. Michy's (Miami) This was featured during Sunday Brunch which is no longer in effect. Michy's burger was topped with a poached egg, hollandaise, jamon serrano and melting Gruyere. Maybe it will make a cameo at Crumb. Le Tub (Hollywood) 13 oz. ground top sirloin, seasoned, charbroiled with cheese, lettuce, tomato, onion. 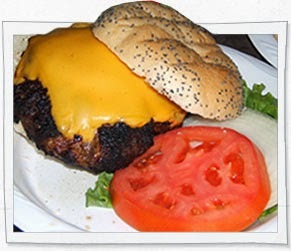 Charm City Burger Company (Deerfield Beach) 1/3 pound proprietary steak blend served with lettuce, tomato, onions, pickles and charm sauce on an artisan baked sesame bun. Tucker Duke's Lunch Box (Deerfield Beach) FIDO-American & cheddar, crispy onions, mixed pickles, house made ketchup, tucker sauce, crunch bun. Edge Steak & Bar (Miami) Creekstone Farms ground beef with Vermont cheddar and pickles. 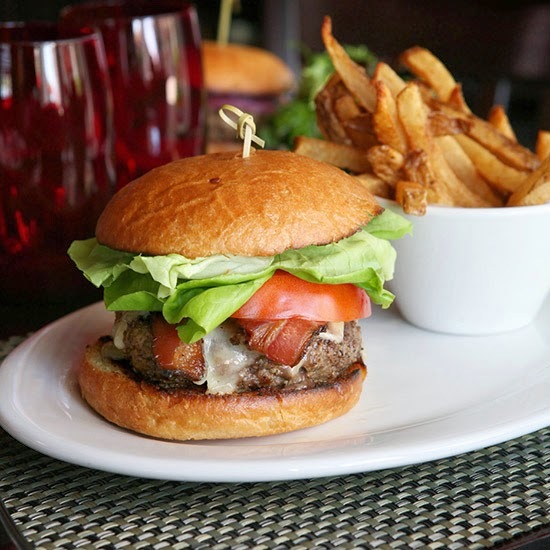 J&G Grill (Bal Harbour) Black truffle dressing, Brie, lettuce tomato on a housemade bun. The Dutch (South Beach) Dry aged prime burger with cheddar, secret sauce on a sesame bun. Burger Fi (Multiple) Brisket Burger. Double natural 28 day dry aged ground brisket, Swiss cheese, blue cheese, lettuce, tomato, pickles and BurgerFi sauce. Pincho Factory (Coral Gables/Westchester) The Pincho Burger. Chuck, brisket and short rib and paired with lettuce, tomato, onion, cheese, potato sticks and secret sauce. Kush & LoKal (Wynwood/Cocunut Grove) Sister establishments serving similar burger options. LoKal Burger Florida grass-fed burger served with homemade honey mustard, using local honey, melted jack cheese, local tomato’s, sliced red onions, arugula and Florida avocados. Michael's Genuine Food & Drink (Miami Design District) The Genuine burger is a house ground Harris Ranch black angus burger topped with a choice of cheese on a brioche bun. House smoked bacon is also an option. Umami Burger (South Beach) Umami Burger topped with a shiitake mushroom, caramelized onions, roasted tomato, parmesan crisp and umami ketchup. Houston's (Multiple) Cheeseburger with fresh ground chuck, cheddar, lettuce, tomato and onion on a toasted egg bun. Wolfgang's Steakhouse (Miami) Classic Burger with in house dry aged beef, lettuce, tomato, pickles and onion on a sesame seed bun. Blue Collar (Miami) Real Juicy Cheeseburger. Prime dry aged NY Strip on a Portuguese muffin. Tongue and Cheek (South Beach) Beef cheek paired with cheddar pimento cheese, sweet onions and housemade brioche. db Bistro Moderne (Miami) The Original db Burger. Sirloin burger filled with wine braised short rib, foie gras, preserved black truffle on a parmesan bun. The Cypress Room (Miami Design District) Rib cap trimmings blended in and topped with Jasper Hill Landaff and onion marmalade. Bourbon Steak (Aventura) All-beef, dry aged burgers topped with melted farmhouse cheddar, shredded lettuce, balsamic onions and secret sauce. Swine Southern (Coral Gables) The Swine Burger. Short rib, brisket and smoked pork blend with homemade dill pickle, thick cut house smoked bacon, lettuce, tomato, American cheese and special sauce. Michael Mina 74 (Miami Beach) Dry aged steak burger with double-smoked bacon, romaine and secret sauce. Shake Shack (Multiple) Shack Burger, 100% all natural angus beef, ground daily and cooked medium and topped with cheese, lettuce, tomato and Shack Sauce. Also pictured and equally great too is the Smoke Stack. A cheeseburger topped with all-natural applewood smoked bacon, chopped cherry pepper and Shack Sauce. TO DO- Lure, OTC and Pubbelly. Sakaya Kitchen The Bulgogi - Brisket and shortrib blend, ssamjang, bulgogi marinated patty, spicy cheese, tots, chili mayo, quick pickle on a potato roll. Sugarcane Raw Bar Kobe sliders with tonkatsu sauce and fried quail egg. Solid list. But if you ever venture down to Pinecrest you need to check out Keg South's burger. Worthy of the top-20 list in my humble opinion. 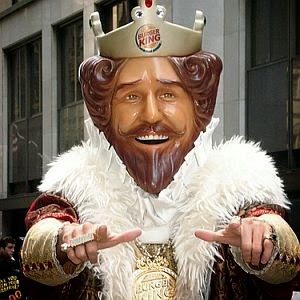 OF, I used to enjoy that burger but it's been a long time. I will put that on the to do list for sure.